When in Rome looked so cute too!! Will be one that I get from the library for 1.50 to watch!! It always amazes me how much you actually learn about the movies from your 5 word reviews. 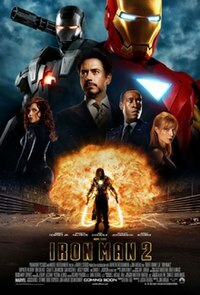 I loved the Iron Man movie! I liked the first one more, but Mickey Rourke was an awesome bad guy! I liked Leap Year, I think I liked the setting more. It was a gorgeous location, Scotland right? 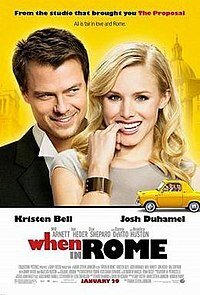 I love Kristen Bell, but I hope she starts doing movies other than romantic comedies. She has the talent to do more. I think so too. 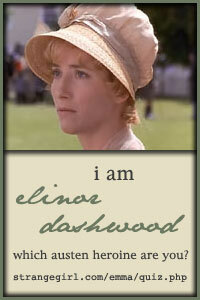 I like her, but this movie didn’t do much for her. 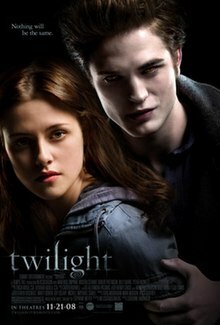 Iron Man and Twilight look really good! I’ll have to get them when they come out on Blu-ray. I really liked Leap Year for some reason. I’d give it a B+. But that’s the only one on your list I’ve seen. It’s possible that I would have liked it more if I had watched it in my living room on the couch. I’m pretty sure the bumpy plane ride didn’t help me like the movie more. I like both of the leads! I thought Leap Year was cute, but it fell flat a bit…a bit too predictable, but overall all right. Twilight??? Rolling the eyes!!! I haven’t seen any of these, but it doesn’t look like I’m missing much. Of those, I want to see Leap Year. imagined Edward differently – glitter anyone? I think my imagined Edward was better and not so cheesy. My Bella was not so pretty and more clumsy. Jacob odd here, but better in later movies. When In Rome: Boring. Hit fast-forward alot! Iron Man 2: Over the top action sequel. 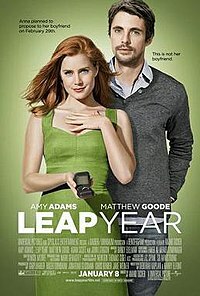 Leap Year: Adams is cute, mediocre rom-com. When in Rome: Almost embarrassed for the actors. Iron Man 2 — Tony too full of himself.